PROMOTING SKILLS, KNOWLEDGE, LEADERSHIP, MOTIVATION AND TEAMWORK FOR PROPERTY MAINTENANCE SUPERVISOR PROFESSIONALS. 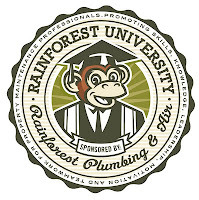 Rainforest Plumbing & Air hosts free maintenance seminars for groups of maintenance professionals including Property Maintenance Technicians, Property Maintenance Managers and Property Maintenance Supervisors. Seminars are hosted at our site and include a FREE lunch and gifts for all attendees from property management companies. In the past, we've called these seminars "Customer Appreciation Days". Educational offerings may be done in conjunction with your regularly scheduled company meetings. We provide the venue, some education and a FREE lunch! In addition to hosting seminar groups at our facility, we can bring the class to you. Seminar topics are taught on a reservation basis as well as each year as part of the AMA (Arizona Multi-housing Association) Education and Event Series. When the heat is on, keep cool with the preventative maintenance techniques you'll learn in this seminar. We know HVAC systems like no other, and in this seminar on the basics, you'll learn techniques that can be easily performed by on-site maintenance personnel to enhance the life and performance of your system. TOPICS INCLUDE: Basic overview of how air conditioners work, refrigerant flow, visual inspections for preventative maintenance; and changing filters. Designed for knowledgeable technicians who want to become more effective, this seminar will review the heart of the HVAC system. This is an advanced seminar that will not review the basics. TOPICS INCLUDE: Detecting a proper charge, eliminating future compressor failures, superheat and sub-cooling methods, sizing and conditioned space corrections in apartments; reading nomenclature on units; and motor-appropriate replacement. Become certified for refrigerant handling when you pass this written test offered by the EPA. Students will receive a course review prior to taking this nationally-recognized competency exam. Preventative maintenance can help properties save time and money by keeping washers, dryers and microwaves in top running order and extending their life. Your service technicians will learn how to perform basic maintenance and repair on brand name appliances. Class size can be limited to enhance learning but we can accommodate large groups as needed. TOPCIS INCLUDE: Appliance maintenance safety, troubleshooting, repair; and wiring schematics. Learn how routine maintenance repair can help properties get the most life out of their appliances. Service technicians will learn hot to perform basic maintenance and repair on appliances. Class size can be limited to enhance learning but we can accommodate large groups as needed. Rainforest University has a strategic partnership with Terry L. Euchner of Euchner Performance Enterprises. The university provides the venue for her in-person and online seminars on leadership as well as lunch. Ms. Euchner currently is the founder of Euchner Performance Enterprises, LLC. EPE is a business services company helping to maximize the performance of multifamily housing companies and provides national speaking. She is also a member of the Arizona Multihousing Association as a member of the Board of Directors, Chair of the Communications Committee and Trainer for the National Apartment Leasing Professional Program. She was honored by the Arizona Multihousing Association, as Regional Supervisor of the Year for 1999. She presently holds an Arizona Real Estate License and is a member of the Institute of Real Estate Management and the National Association of Realtors and has her LIHTC Certification. Most recently Ms. Euchner was invited into the "Cambridge Who's Who" Registry. We recommend these seminars to anyone interested in leadership training. For more information, go here: Euchner Performance Enterprises. 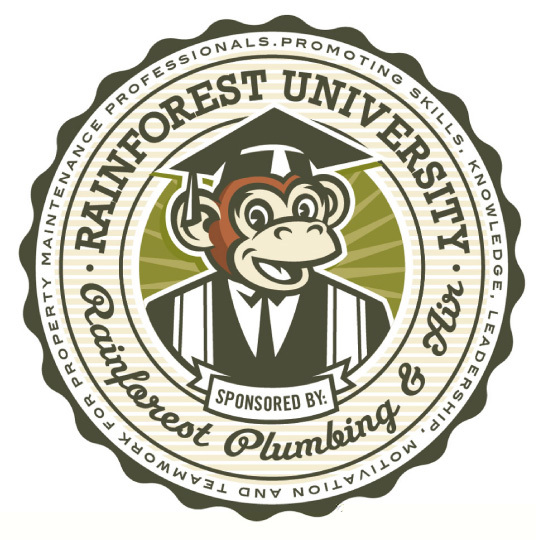 Rainforest Plumbing & Air sponsors a unique website called Property Maintenance Manager that may be of interest to those maintenance professionals who are looking for tips and tricks to make their job easier. Just go to http://www.propertymaintenancemanager.com/ to check out the site. Whether your title is Property Manager, Property Maintenance Manager, Property Maintenance Supervisor or Property Maintenance Technician, this site is your source for knowledge designed just for you. We welcome you to check in frequently to discover the newest content. Rainforest Plumbing & Air sponsors this site as a service to the Arizona property management and multi-housing industry.